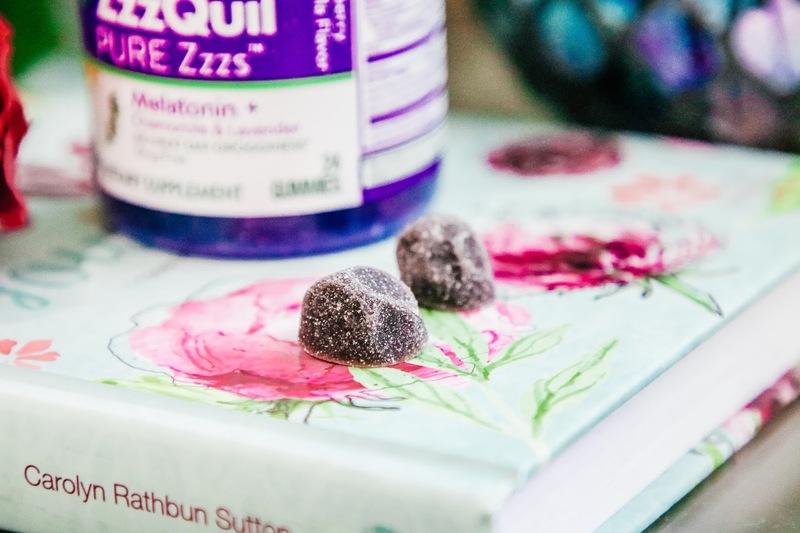 This post is in partnership with ZzzQuil, A brand I have come to love. All options are 100 % my own. Hope you're all doing well and in the best of health. I wanted to write this post and share with you all, so that if you're in the same struggle as I am, we can get through it together. Now, many of you know that I also have a full-time job along with this blog. 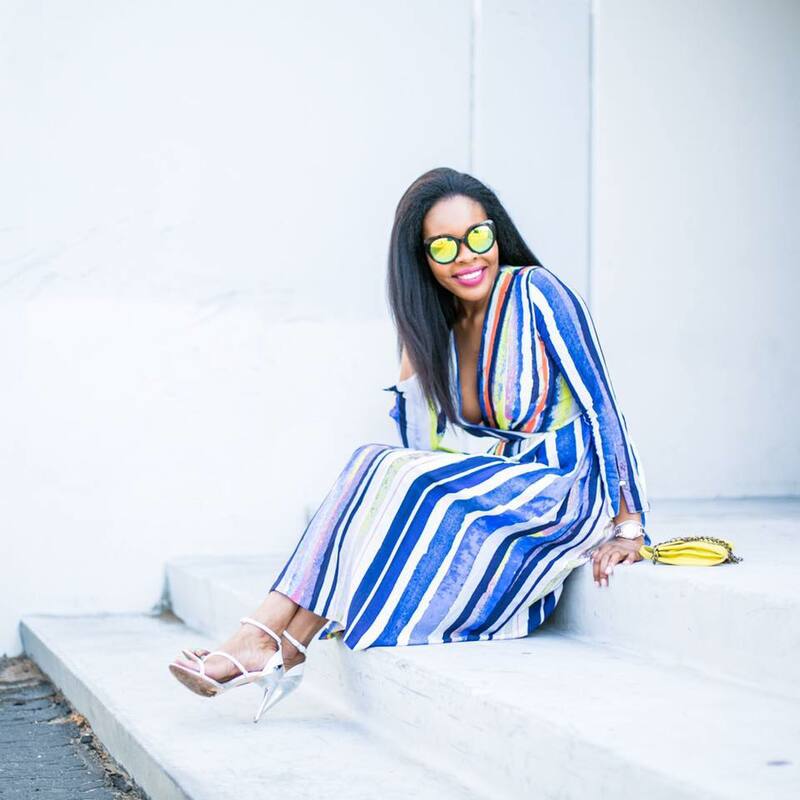 While you may not see as many blog posts on here like back in the day, I am almost always on Instagram posting and sharing all I do and what I’m up to. Over the past year, sleep has become my best friend and my worst enemy. I need and love it, yet I wasn't getting enough of it. I had not been sleeping well and it scared me. I would wake up during the middle of the night either bursting with ideas or worrying about a task I have to complete or an email I forgot to respond to. Guys, these are true stories. I would toss and turn or plan and overwork my brain during the one time I should be giving it the most love in the form of rest and rejuvenation. 1. Hydrate Hydrate Hydrate: I couldn't stress this enough. Drinking a lot of water throughout the day is so good for you and it has really helped me. This is great for blood circulation and removing toxins from the body to make way for a better sleep. 2. 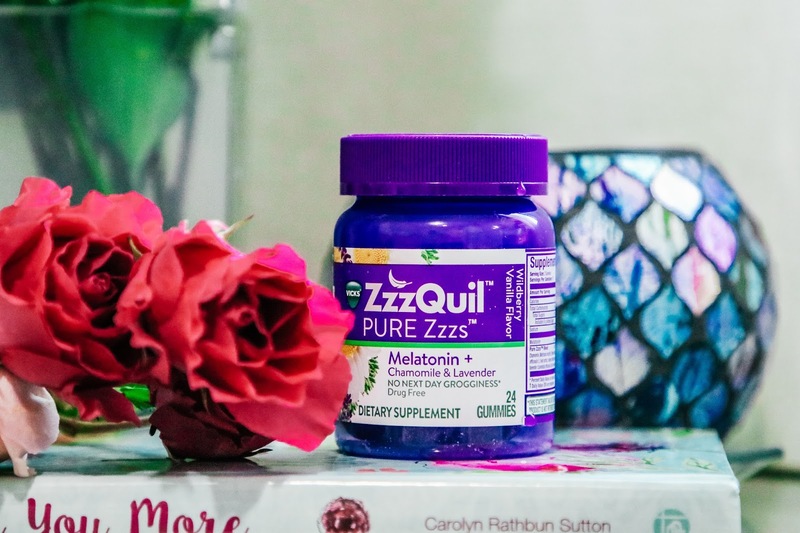 I recently learned about the ZzzQil™ Pure Zzzs Melatonin™ Gummies, and they really help me fall asleep naturally and was sup refreshed*. It's yummy, and all I do is take 1-2 dummies 30 mins before bedtime. I also love that they are gluten-free, vegan, vegetarian, drug free and contain a unique blend of lavender, chamomile, valerian root, and lemon balm. Not to mention they have the optimal level of melatonin so there's no next-day gogginess*. Yes, the research is done for you all. I know my audience has different restrictions, and to learn these are good for pretty much everyone made me excited to share. 3. Change your sleep surrounding and/or decor. I recently decided to declutter my sleeping space. I have so many pillows, candles, cute items in my bedroom but really, I realized I felt overwhelmed with all the stuff. At night before bed, I declutter all my cushions and any excess items. I put them in the guest room and I keep my bedroom as clutter free as possible. I also only use monochrome colored curtains that bring a zen vibe to my bedroom. 4. Try essential oils. The scent of lavender is such a great option for relaxation. The new Vicks® PURE Zzzs™ Soothing Aromatherapy Balm is made with soothing lavender and chamomile essential oils. It also has a moisturizing formula of coconut oil and aloe leaf extract, and it smells great! Try that, too. 5. Work out before bed. 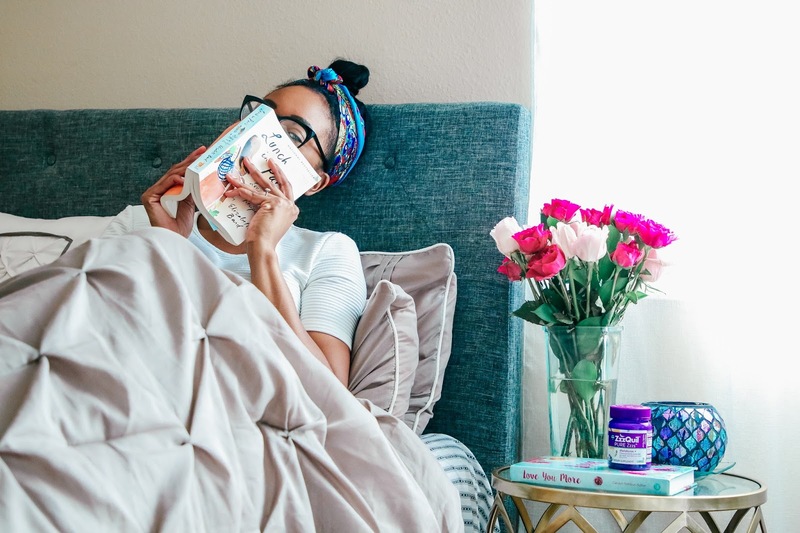 It used to be so hard for me to work out after a long work day but when I changed my thought process to find an effective nighttime routine, it became a wonderful practice. You can do any type of workout in your home, at the gym, walk/jog around the block, yoga etc. I'm really hoping you found this post useful and that if you're on a journey to better self-care and relaxation, it'll become a smoother and more successful journey for you. We're in this together. Definitely, if you are going to have lunch in Paris, you have to get a good night sleep! The Pure Zzzs Gummies sound inviting and even though I have never used this type of sleep aid, I would introduce them to my medicine cabinet. Is this for a beauty? I never used this and want to know about this..
can you tell me what is benefits of this cream? I agree that working out before bed helps you sleep better. Good tips. I never need anything to help me sleep. I do that just fine. 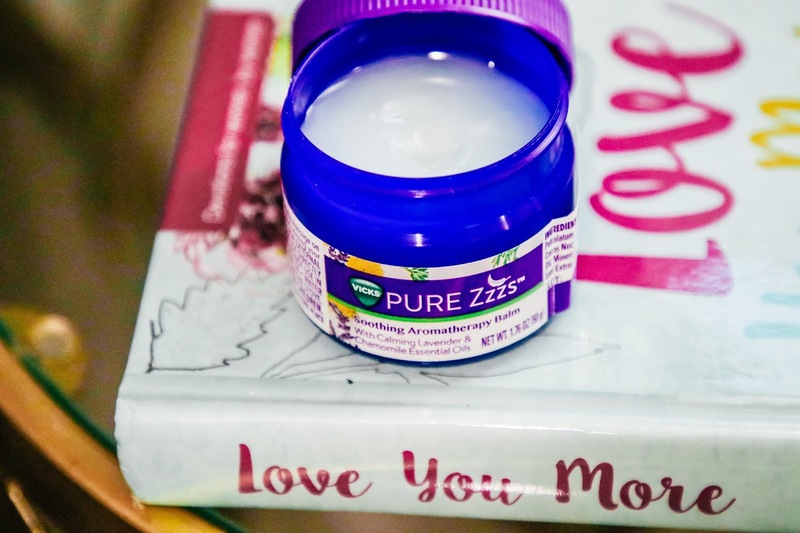 I had no idea that ZzzQil™ Pure Zzzs Melatonin Gummies and Vicks PURE Zzzs Soothing Aromatherapy Balm existed. I have such a horrible time falling and staying asleep. I take regular melatonin pills and they tend to get stuck in my throat. I'm so glad that I came across this post. Thanks so much for sharing! Wow zzquil is jumping on the herbal wagon. Cool! I like the aromatherapy balm. I've tried ZzzQuil before and didn't work. I have bad insomnia that i do take prescription sleeping pills but i would try the balm. Thank you for sharing these wonderful tips! I had no idea that Vicks had ZZquil and a soothing balm! I will definitely be trying those! Thank you for your great tips. This sounds great. A good night's sleep is a necessity. I never thought of dehydration as being a cause of sleeplessness. I take the liquid ZQuil but it doesn't really work all night. Thanks for the tips! I could definitely benefit from more sleep. This is the first time that I have heard of ZzzQi. Good to know if I need help to sleep. I prefer herbal alternatives so these are great! I use lavender each night in my bedroom. I also have a rule: no electronics for at least an hour before bed. I have been having some sleep issues lately, maybe I can try this tonight. Love the tips. God knows I need help with my sleeping problem. I am disabled and have major sleeping issues. I can either never fall asleep or stay asleep for very long. Maybe I should try zzzquils. Right now I am on 2 different meds to help me sleep but they are NOT working the way I wish they did. Again, thanks for the tips. OMG! I really need these tips right now. You've come into my life at the right time. Through 3 kids, university and bill season, I'm not sleeping properly. Thank you! Great tips! I definitely agree with staying hydrated. If I don't, I wake up with headaches and generally feel ill. Thank you for your tips. I'm chronically ill so sleep doesn't come easy with all of the pain I'm in. I didn't know Zzzquil made this product. Thank you for sharing. Thank you for the product. I will purchase this to try it out for my sleeping! I never heard of this but sometimes I have an awful time sleeping at night. It seems like when I finally get to sleep it's time to get up. Vick's is also great for keeping bugs away when you are out side. thanks for the great tips, I am a terribly restless sleeper always tossing and turning. The decluttering makes perfect sense! I'm going to try that. I have tried zzzquil, and it has never worked for me. But definitely gonna try the color change of curtains and declutter my space!! Thanks a bunch! I've been really curious about melatonin and would definitely try in gummy form! i agree with the hydrate tip. i drink a lot of water everyday. 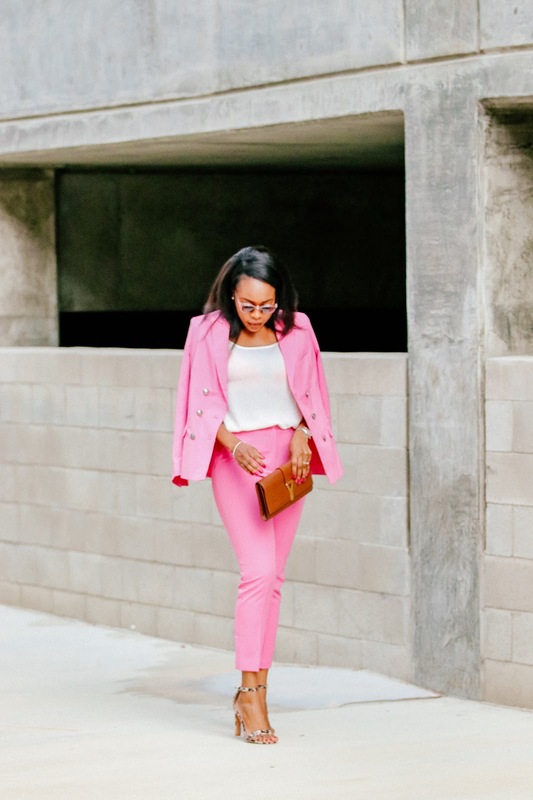 These are some great tips--I know my routine could use some improvement! I've never seen these Zzzzquil melatonin gummies. I must have some. My boys both need melatonin nearly every school night to sleep. These would be so much easier to get my youngest to take. My husband has had little help from Melatonin supplements, but I love the idea of the balm! Awesome giveaway I hope I can win.I haven't won anything this year so far. I sleep well, but I do drink a lot of water. I'd love to try the gummies. Melatonin pills don't work for me, maybe these will. I need to try essential oils. I hear good things about them. Hydration is important. I have such a hard time taking sleep aids with all the other meds that I'm on, will try the exercise and maybe the vapour rub. Love these tips! I've always been afraid to workout close to bedtime, but will try it! And I HAVE to try the gummies! These are great tips. Essential oils, staying hydrated during the day and having a great sleep environment really helps your sleep routine.